Honor Award Winner, National Terrazzo & Mosaic Association, Inc.
Gilbane Building Company constructed Virginia Tech’s (VT) new, four-story Signature Engineering Building. Before completion, Gilbane’s Transition Planning & Management experts were brought in to provide a Transition Planning Assessment. 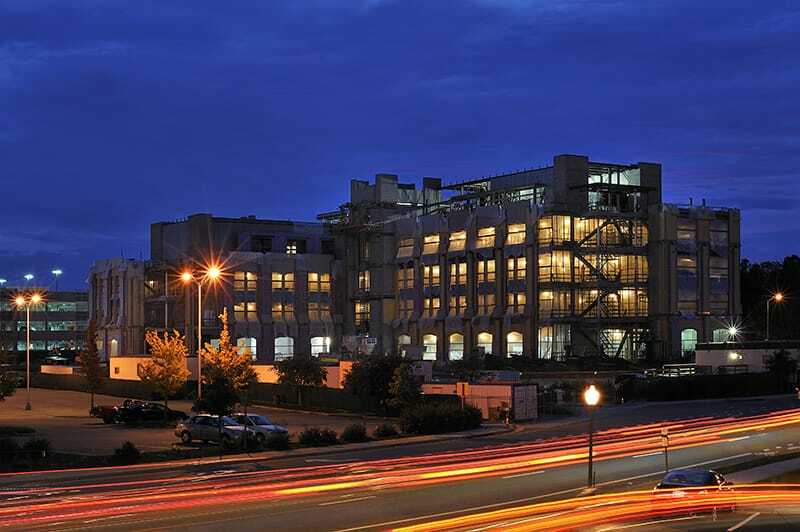 After TPM’s assessment was completed, Virginia Tech awarded Gilbane’s TPM with the implementation of their Activation & Occupancy Planning and Transition Plan. The four departments occupying the building were Mechanical, Chemical, Education, and Aerospace & Ocean Engineering. 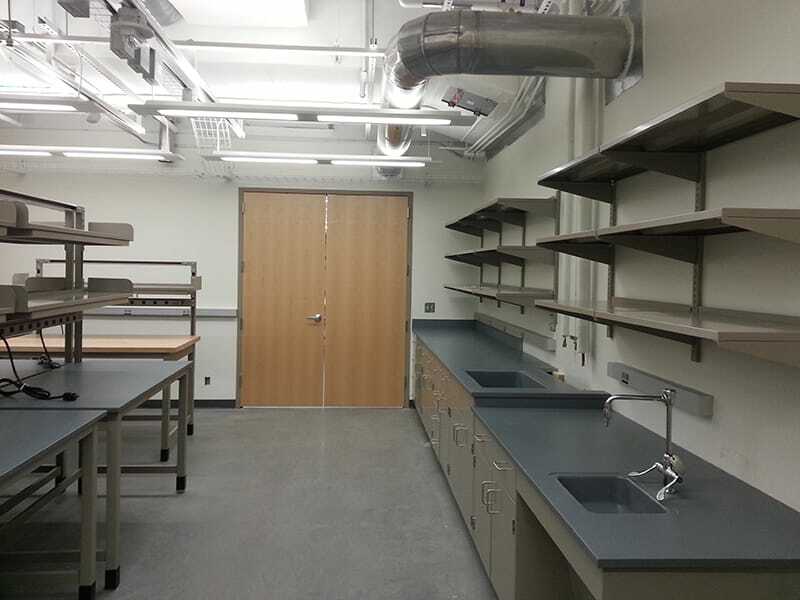 The new building consisted of 35 research laboratories with the occupancy of more than 100 faculty and staff members. During the transitional planning stages, all of VT’s supporting departments provided crucial input into the transition plan and schedule. Gilbane successfully managed all relocations during a five-week period at the end of the spring semester, allowing plenty of time for faculty and staff to get settled into their new space prior to the start up of the fall semester. 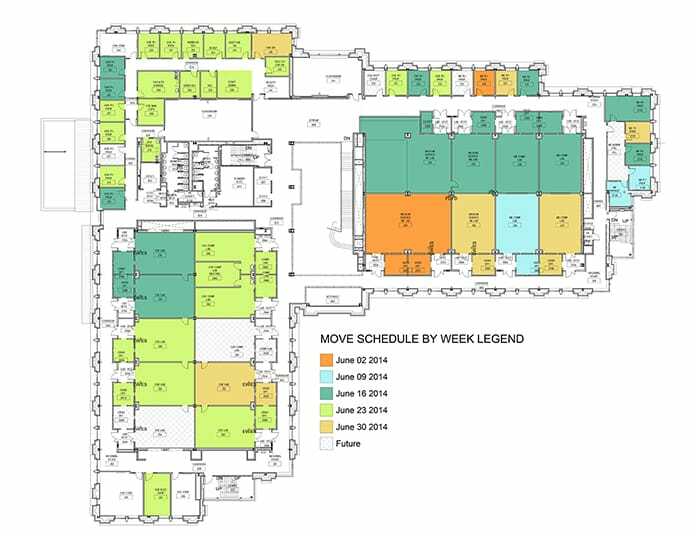 Utilizing the Revit model, Gilbane developed color-coded plans for the faculty and client, showcasing the rooms that would be involved in each phase. This useful visual was one of the many tools used to provide clear communication between Gilbane and the University’s departments that resulted in a well-coordinated relocation process for our client and a smooth transition for the VT’s staff.